Vicky Cristina – ויקי כריסטינה. Tapas in Tel Aviv has a home at the Tachana in Neve Tzedek with Vicky Cristina. 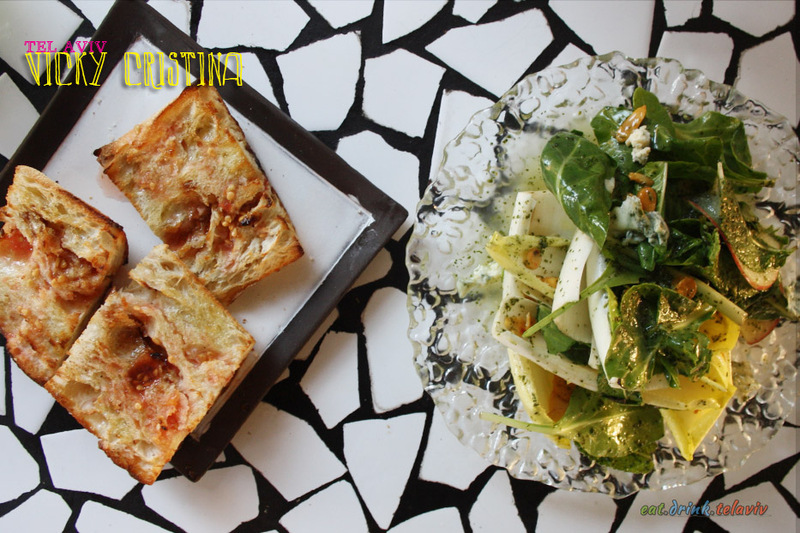 This Tel Aviv restaurant brings two unique dining experiences a little similar to the titular characters of the Woody Allen movie with the same name – Vicky Christina Barcelona. Vicky is a more formal, romantic and elegantly designed tapas restaurant. Soft music plays, small tables for intimate conversations under the moonlight can be had all while divining in exquisite Spanish style tapas. More realistically Vicky is the Betty to Cristina’s Veronica. Both have their beautiful attributes if that’s what you are into. Vicky is to impress your date and get to know them over a nice cocktail or glass of Israeli wine. Cristina is for the bachelorette party and jugs of sangria. Both halves of this Tel Aviv restaurant serve up beautiful and delicately plated tapas. 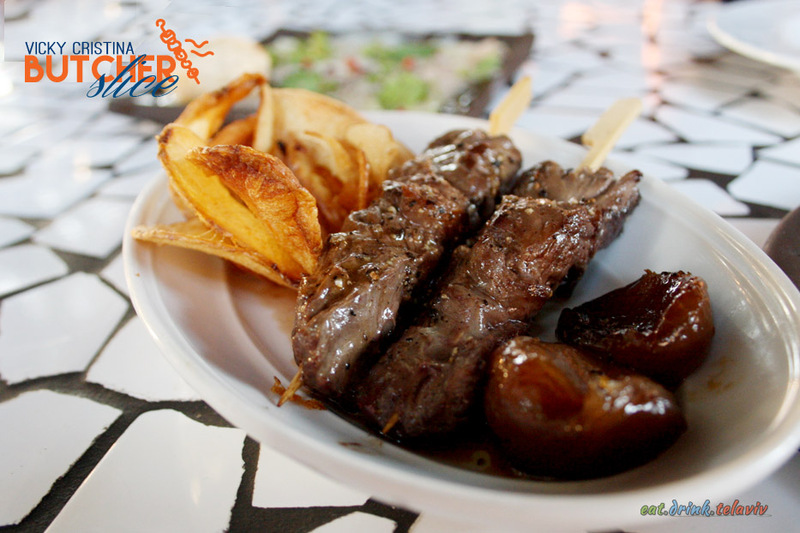 Small dishes like the Butcher slice – two grilled skewers with caramelized shallots in beef broth and crispy potatoes (papas fritas), Camaronas Diablo, a delicious and devilishly spicy shrimp dish with smoked chipotle and silan sauce (date honey.) 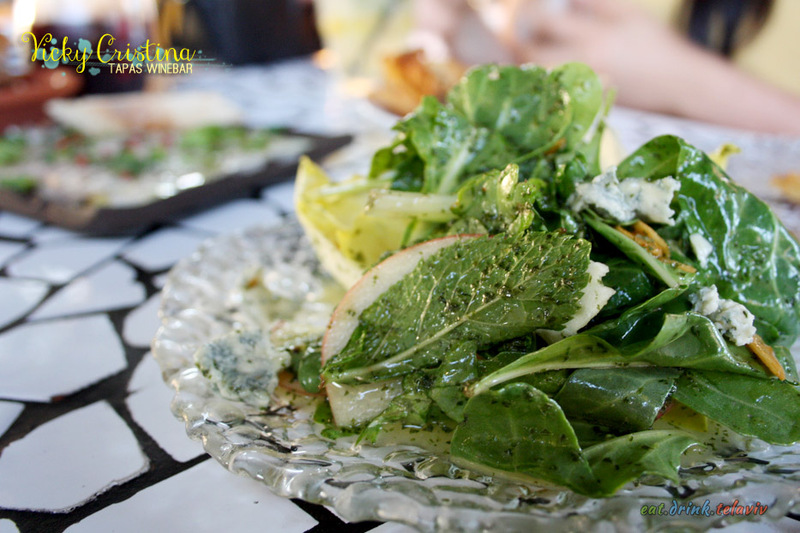 The Ensalada de escarola was another star with fresh endives, baby spinach, seasonal fruit, smoked almonds with a honey orange vinaigrette, blue cheese and walnut oil. 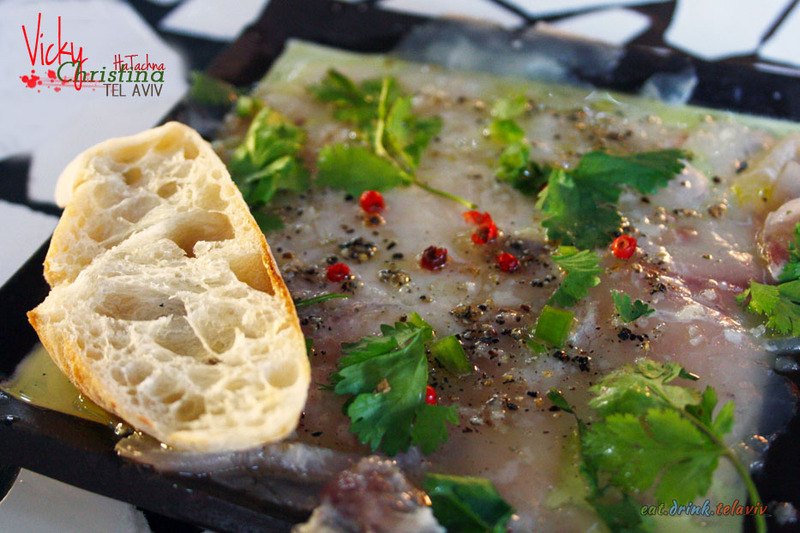 Or some delicate Spanish sheep cheese – Queso manchego – with delightful marinated cherries being an easy choice. Simple or complex the tapas offered are fresh and incredibly tasty. With an extensive menu you will find it challenging to choose a favorite, so you could order all the dishes including desserts for 1170+ NIS (August 2015 – prices are always subject to change.) 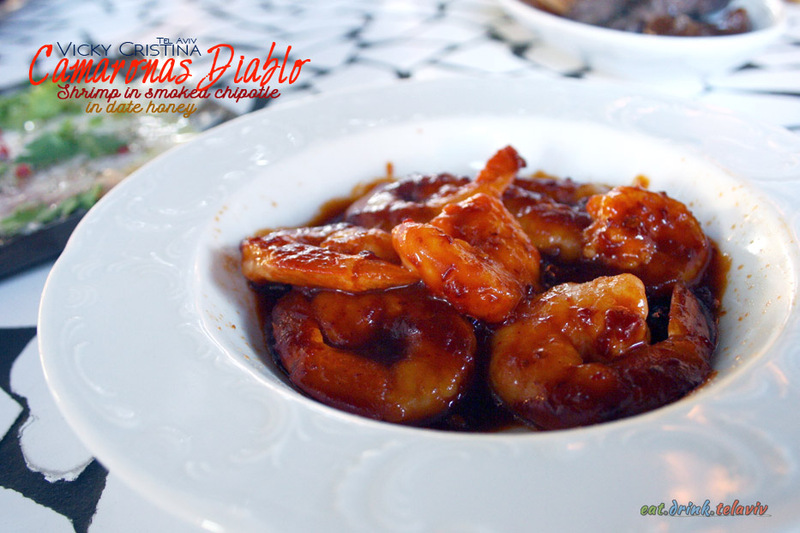 You can order all the dishes in a section, and once upon a time they had various tasting menus, such as the Catalonia, that offered up a selection from each, so inquire with your server. 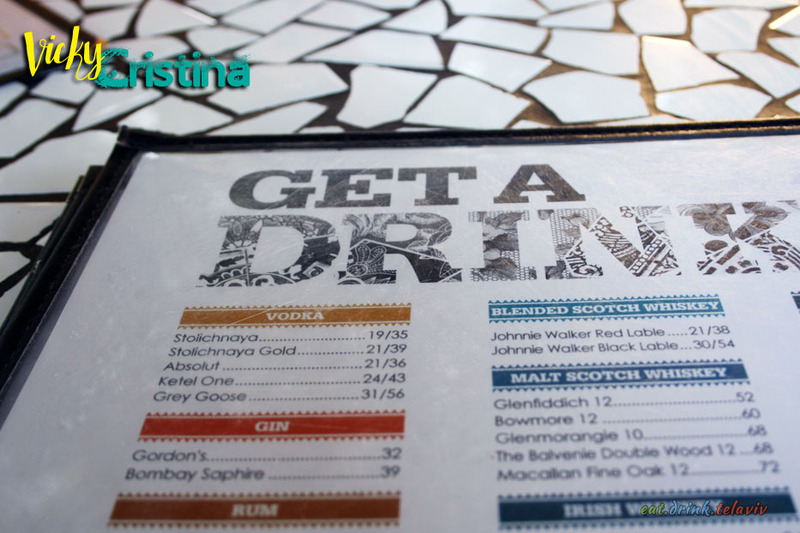 Service can be quick with the right person, but plan your trip to Vicky Cristina with care. 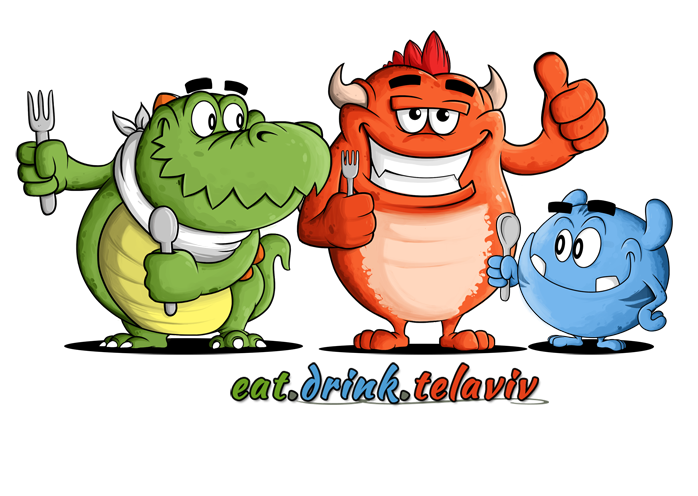 The Neve Tzedek Tapas wine bar/restaurant is very, VERY popular. 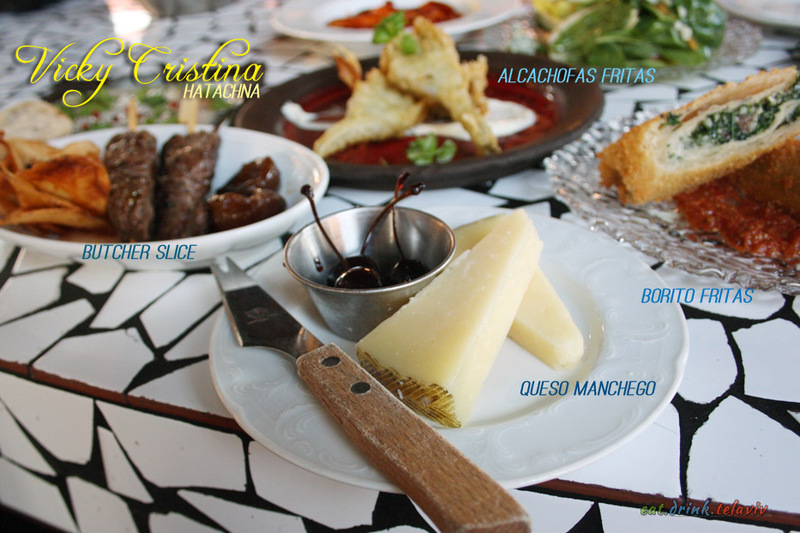 Cristina offers flamenco dancers and live music some nights if that is what you are into, but also be mindful of where you are seated at Cristina – the music comes from hidden speakers that can be directed at you and will reverberate your entire body while you dine. Overall Vicky Cristina is a likely destination for any tourist looking for a wild, fresh venue alive with music, food and energy whether it be by candle light or moonlight. Whatever your tastes both Vicky and Cristina will have you swing both ways. 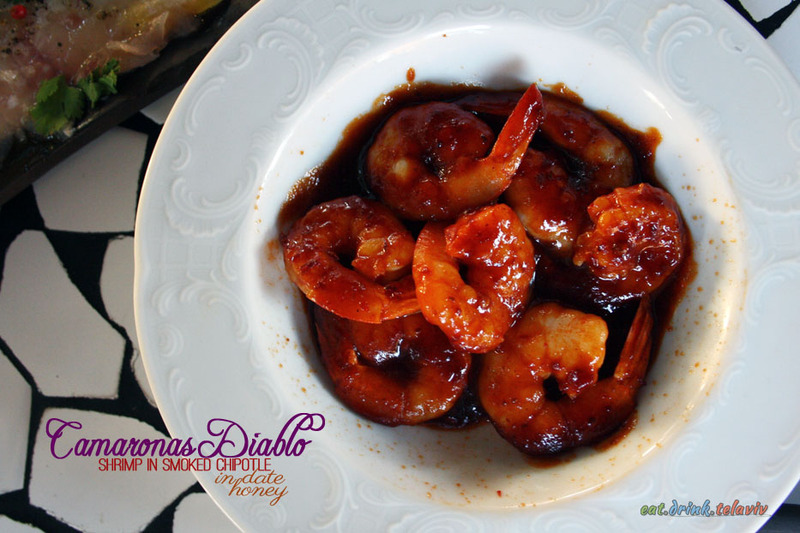 Recommended dishes – The hamburgers, the endive salad, roasted tomatoes with bread, the shrimp in a smoky chipotle. 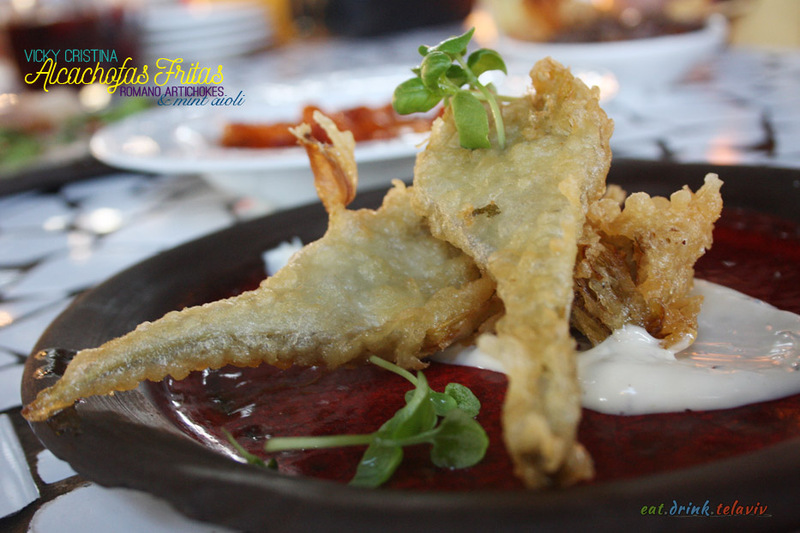 The Borito Fritas was crispy but the delicate flavors of all the delicious ingredients inside were lost in the fried shell, while the Alcachofas fritas was just a tastier dish for those that craved deep fried tapas. The accompanied mint aioli was a refreshing touch, acting as a delicious counterbalance to the crispy and oiliness of the artichokes.